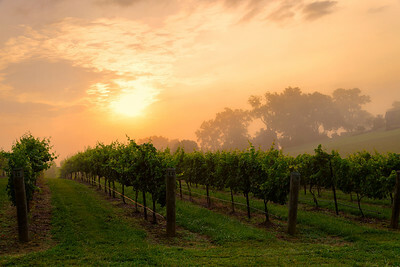 The sun warms up the early morning dew behind a vineyard in western Virginia. 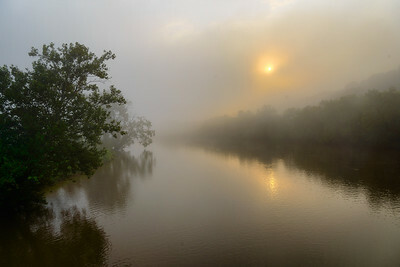 The lazy New River wanders slowly through the Virginina countryside on a foggy summer's morning. 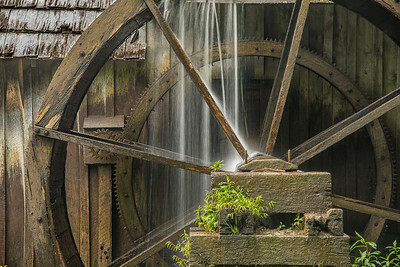 The water wheel from Mabry's Mill sits along the Blue Ridge Parkway in southwestern Virginia. 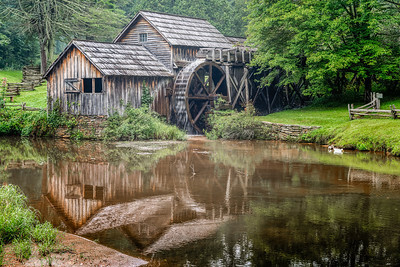 Mabry's Mill sits along the Blue Ridge Parkway in southwestern Virginia. 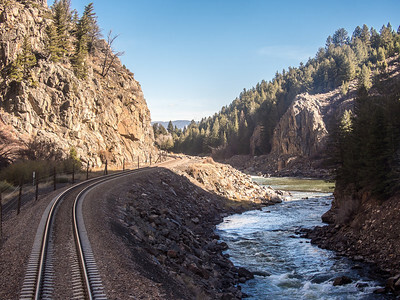 Looking out The Back of the California Zephyr as it Parallels the Colorado River in Northern Colorado. 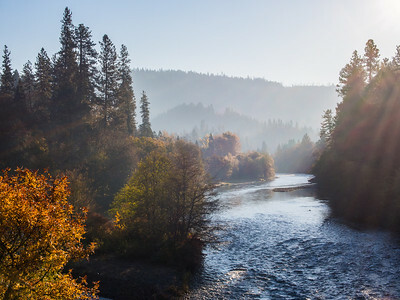 Looking out the back of Amtrak's California Zephyr at 80 mph in rural Colorado as it parallels the Colorado River. 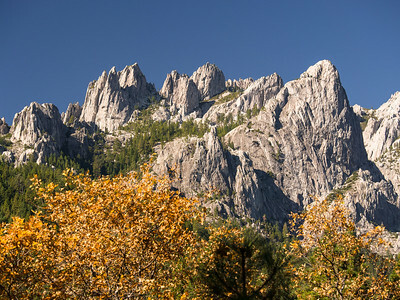 An autumn day in Castle Crags State Park in north central California. 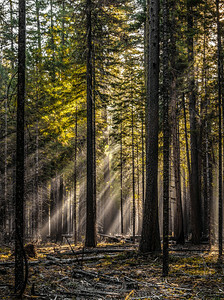 Early morning sun light filters though the trees in an Oregon pine forest along Oregon Route 62. 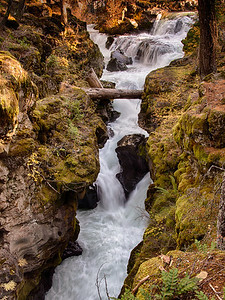 Cascade Gorge, on the Rogue River, winds its way down through the rocky terrain near Crater Lake National Park in Oregon. 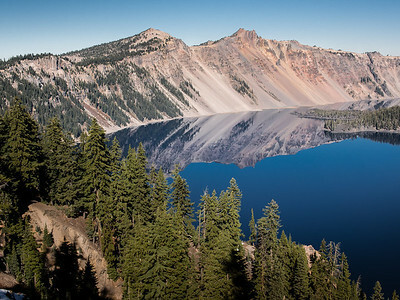 Details of the blue skies, rocky slopes meeting the pure blue water of Crater Lake National Park. 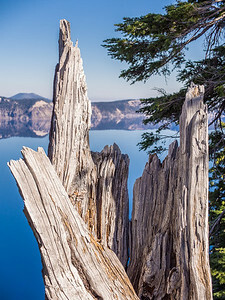 Details of the blue skies, rocky slopes meeting the pure blue water of Crater Lake National Park, highlight the wood of the dead tree. 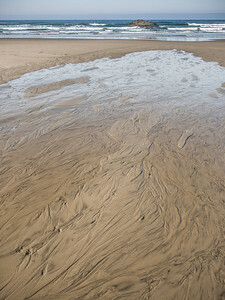 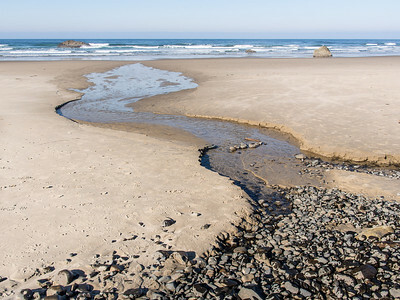 The water from a creek or stream reaches the ocean at Hug Point, Oregon. 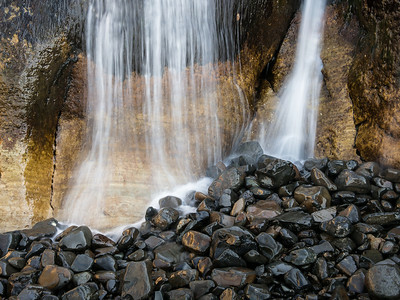 Water from a stream falls onto black beach rocks at Hug Point in Oregon. 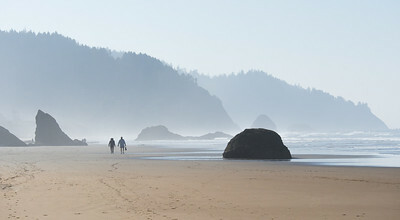 On a foggy, misty morning, people walk the beach near Hug Point, Oregon. 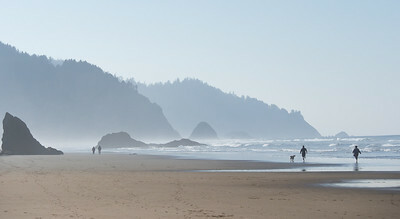 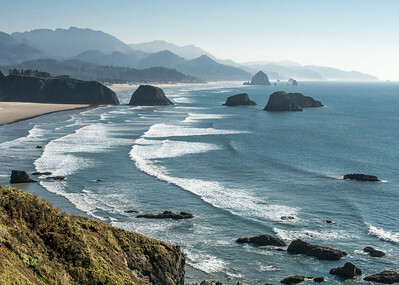 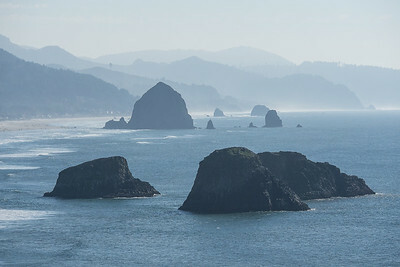 Cannon Beach Oregon from the north on a foggy, misty day. 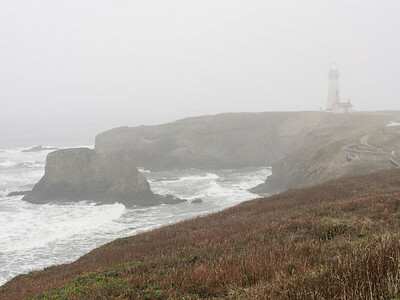 Fog and rain envelopes Oregon's Yaquina Head Lighthouse on an early autumn morning. 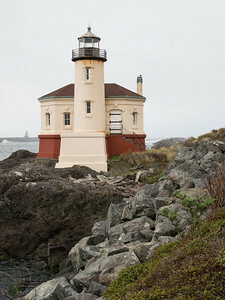 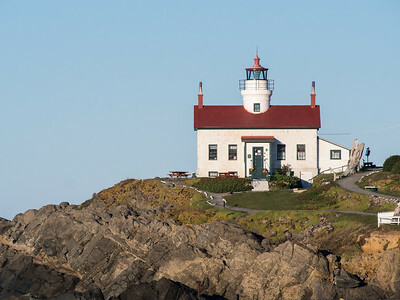 The Old Haceta Lighthouse Keeper's residence in fog on the Oregon coast. 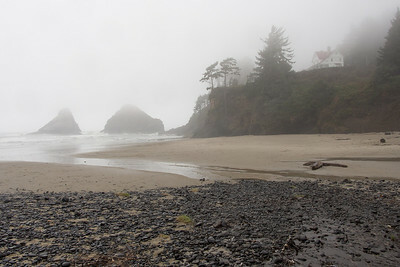 Fog and rain envelop the old Haceta Lighhousekeeper's home on the Oregon coast. 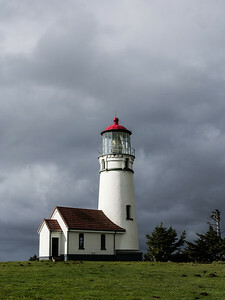 Sunlight blankets the Cape Blanco California Lighthouse as a storm clears in the distance. 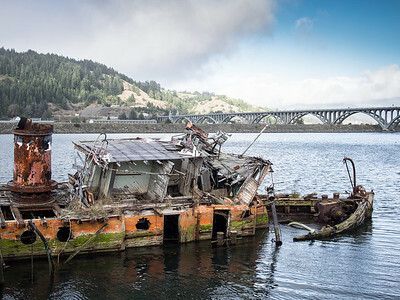 An old tugboat lies partially submerged along the shore at Gold Beach in Oregon. 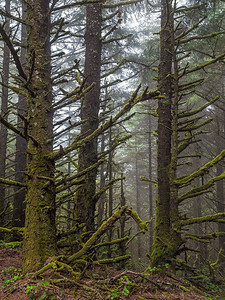 An unusual pine forest, surrounded by fog, sits covered in green moss in Cape Sabastian Oregon. 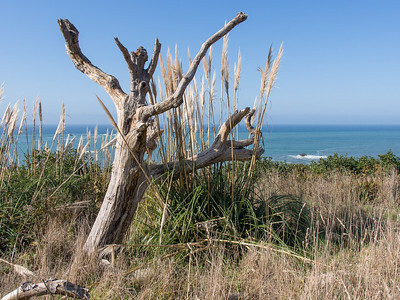 Seascape at Patrick's Point State Park in California. 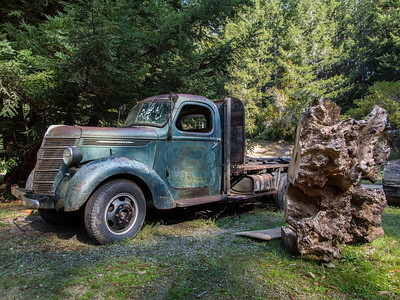 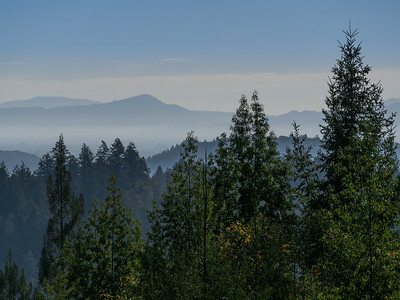 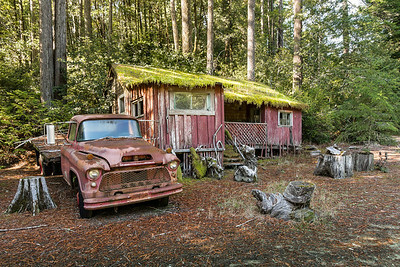 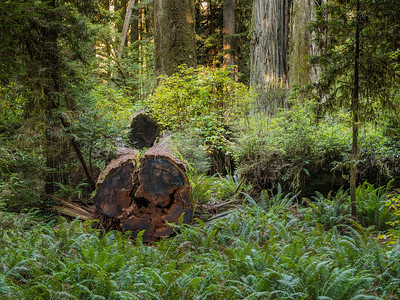 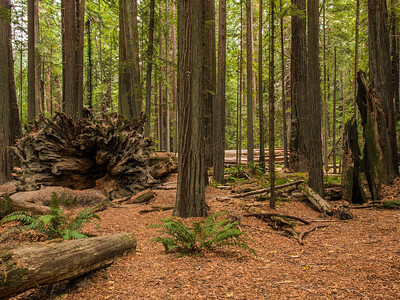 A tranquil scene in Humboldt State Park in California. 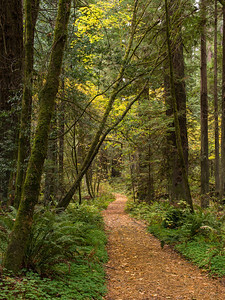 A path, lined with fallen redwood bark and needles, winds through the redwood forest in Humboldt State Park in California. 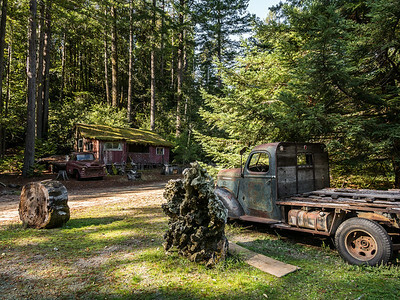 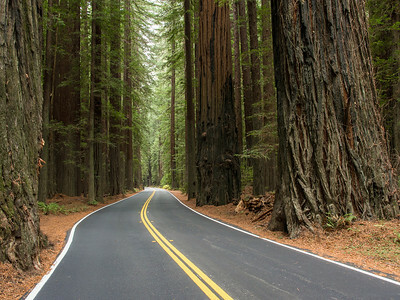 The road through Humnboldt State Park on the Avenue of the Giants is lined with giant coastal redwood trees which dwarf the road. 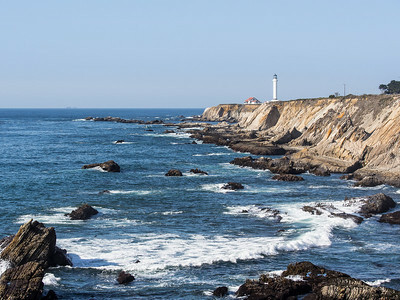 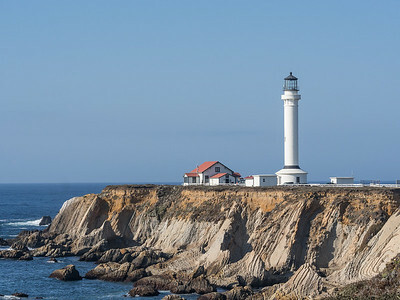 Point Arena Lighthouse, which sits at the place the San Andreas Fault goes out into the Pacific Ocean is surrounded by cliffs and rock formations. 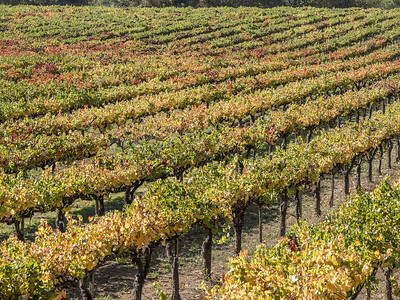 After the annual harvest of grapes, the autumn brings cooler weather and a change in color to the leaves in the rows of the vines in northern California. 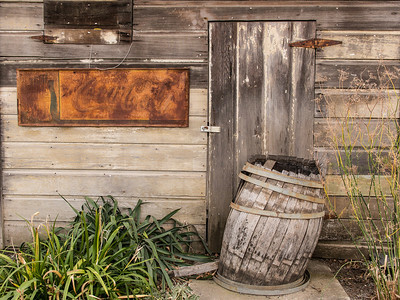 A typical scene from behind an old country store with a rusted Coca-Cola sign, a handmade wooden slat door and a wooden barrel that is falling apart.